You are currently browsing the category archive for the ‘Feature Article’ category. It’s not often two sisters have books released on the same day! 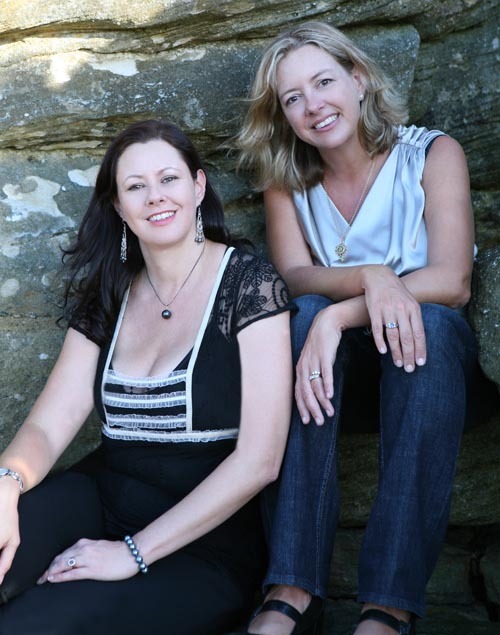 Sisters Kate Forsyth and Belinda Murrell dropped by to talk about what that’s like and some of the influences that led them both to grow up to be fantasy authors. Kate: We both loved reading! We were the sort of kids to read under the bedclothes at night with torches, or bumped our heads on telegraph poles because we walked home from school reading. And when we weren’t reading we were playing games inspired by our favourite books or scribbling stories down in notebooks. Belinda: We used to fight about who would be the most exciting character – we both wanted to be the brave tomboy George not the sweet, caring Anne! From the time we were seven or eight, we would write constantly – stories, poems, plays and novels ‘published’ in exercise books with hand drawn illustrations. I am the eldest, so I used to get out my big red pen and correct all Kate’s spelling and grammar. Kate: I remember once running crying to our grandmother Nonnie because Belinda had told me that the ending of my story wasn’t very good and she rewrote it. Nonnie told me that Belinda was only trying to help because she loved me, but she must have had a quiet word to Bin because she never rewrote any of my stories again. Belinda: My grandmother was an English teacher and with our mother, always fostered our love of books, poetry and writing. She used to tell us the most wonderful, romantic stories about history, our family and Scottish folklore full of adventure and brave, feisty heroines. She would talk to us about Shakespeare and Tennyson, Jane Austen and the Bronte sisters. Belinda: Dad was a vet so he’d often take us out to big properties where he’d be working and we’d go mustering, riding horses, working in the yards and sleeping under the stars. Our life at home in Sydney was also filled with animals – dozens at a time. We had four dogs, litters of puppies, cats, calves, piglets, lambs, snakes, tortoises, horses, mice, rats, possums – even a baby wallaby that lived in a sack on the back of our kitchen door. I loathe reading a series while it is still being written. Some find the sense of expectation a delightfully tingly one, I just find it brings out the worst of my impatience. I cannot express my unendurable smugness at all those Harry Potter fans agonising over the release date of the last book (I finally read them in 2009, ok? And yes, I’m converted). 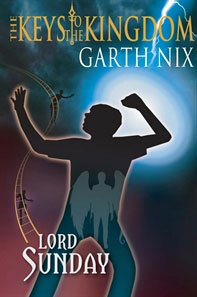 For the last few years, the only series I have been waiting on impatiently has been Garth Nix’s Keys to the Kingdom. And by that I mean trying to find out when each successive book came out; for the latest, and last, it meant asking in every bookstore I walked into whether it was on their system yet and whether they had a release date (and this while I was on holidays overseas). It has been something of an obsession. A curious one, too: they are short books, aimed at the younger end of the Young Adult spectrum. It seems, objectively, a bit ridiculous to so breathlessly anticipate a book that I read in about three hours (yes, I’ve timed it). And yet.